Each student receives personal instruction from a caring teacher. I take pride in carefully tailoring each student's lessons to their unique needs and interests. 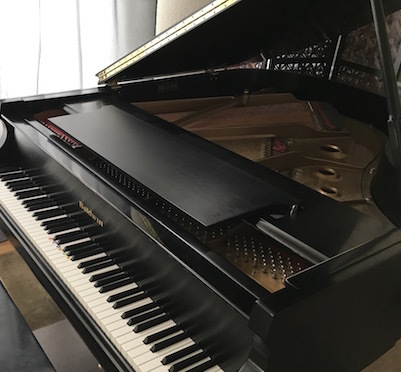 Our Nampa studio includes a Baldwin grand piano, a Kawai digital keyboard, and a double-manual organ, with smaller instruments such as bongo drums and tambourine. My priority is to provide an organized environment where students enjoy developing all areas of musicianship, including technique, theory, history, and performance. 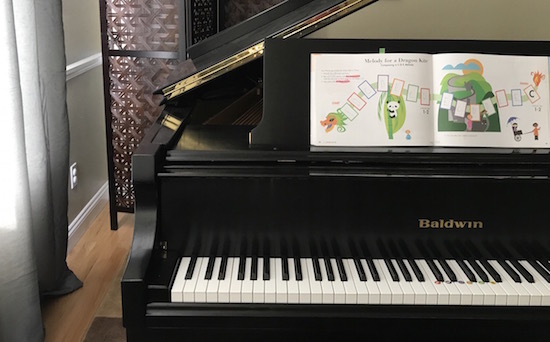 The primary curriculum in our studio is Piano Adventures by Randall and Nancy Faber. Editions are available for each age group, from young children through adult. This series exposes the student to a variety of musical styles as they develop music-reading and piano-playing skills. After completing this series, students typically work on standard classical repertoire (music by the master composers), along with their favorite genres such as hymns or pop music. Every student learns music in a variety of styles throughout the year, such as folk songs, Christmas music, hymns, and duets. All students receive a solid grounding in technique and theory so they can understand the structure of music, and learn new music more quickly. Students also practice listening skills (ear training) at each lesson to improve their abilities in listening, concentration, notation, and more. Through 12th grade, all students perform in a variety of annual events including studio recitals, NFMC Festivals, and Certificate of Achievement. Students are required to have an acoustic piano for home practice. Have you always wanted to play "Für Elise" or "The Entertainer"? Imagine sitting down at a party to play "Happy Birthday" for friends, or playing Christmas carols at family gatherings. 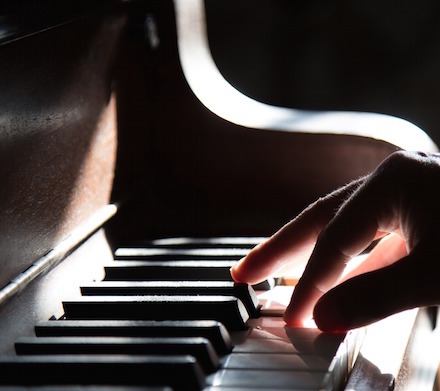 Whether you had piano lessons as a child, or have always wanted to play, you will find a welcoming and accepting environment in private piano lessons. I have taught adults from a variety of backgrounds, from complete beginners to other piano teachers. We typically begin with the Adult Piano Adventures curriculum by Randall and Nancy Faber. Lessons include music theory, technique exercises, and a variety of styles including classical, folk tunes, and oldies. Adults can expect to make steady progress by simply practicing each day. Adults are not required to perform at recitals or Festivals, but are very welcome to participate if desired. Regularly play piano for fun and self-expression. Enjoy sharing their music with others. Gain knowledge of classical music and famous composers. Learn skills that transfer to any other musical instrument. Understand how to independently learn and master a new piece. Know how to divide large projects into sequential tasks. Learn discipline, perseverance, and confidence. Look back on piano lessons as a positive experience! Students age six through adult are welcome to begin piano lessons at any time of year, if an opening is available. Younger students are accepted on a case-by-case basis. Please contact the studio to schedule an interview or with any other questions.